Upper East Siders fighting for historic district on Park Avenue heard by landmarks commission. This piece was published Feb. 26 in Our Town. According to Teri Slater, a member of the Park Avenue Defenders, an effort to create a historic district along the iconic stretches of Park Avenue began 11 years ago when her group met with members of the city’s Landmarks Preservation Commission.Historically minded denizens of the Upper East Side might finally get what’s been coming to them: a Park Avenue Historical District. Upper East Siders supporting historical designation on Park Avenue, who have coalesced under the umbrella name of Historic Park Avenue, had their long-awaited hearing before the LPC last week. The Upper East Side is home to many landmarked buildings. Photo by Laura Naefe. The proposal actually calls for the creation of two historic districts along Park Avenue to fill in the 14-block gap between the existing Carnegie Hill and Upper East Side historic districts. The goal, say supporters, is to protect historic buildings – and the lots on which they sit – from being developed. The two proposed areas run along Park Avenue between 79th Street and 91st Street and 94th Street and 96th Street. Elected leaders who support the proposal include council members Dan Garodnick and Ben Kallos, as well as Assemblyman Dan Quart, Senator Liz Krueger and Congresswoman Carolyn Maloney. “There’s no reason to exclude buildings above 79th Street from protection,” said Krueger, who provided a statement to the LPC through a representative. Over 70 people showed up to testify at the hearing, including representatives of the local elected officials. Garodnick’s office said that of the 68 buildings in the proposed historic district, five are in immediate danger of being developed. 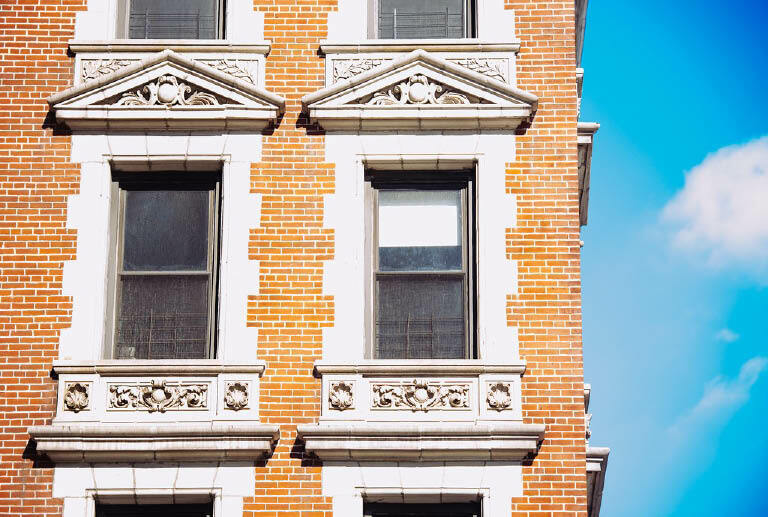 According to Tara Kelly, executive director of the group Friends of the Upper East Side, five buildings have been lost to development since 2010. These buildings were built between 1856 and the mid-1900s, by famous architects such as J.E.R. Carpenter and Rosario Candela, according to members of Historic Park Avenue. The debate surrounding Park Avenue Christian Church, built in 1911, is one that’s divided residents on the Upper East Side between those who want to landmark the church building and its adjacent parish house and the church administration itself, who say they need to monetize the lot that the parish house is built upon in order to survive. Valerie Campbell, a lawyer at Kramer & Levin representing the church, said the church supports the creation of a historical district along Park Avenue, but doesn’t want to be included in it because that will prevent them from following through on a deal they have with Extel Development for the parish house lot. Extel wants to build a 210-foot residential tower that will cantilever over the church itself, a plan that’s infuriated local residents who say it will ruin views of the historic church and is ill-suited to the surrounding architecture. The church’s rationale for seeking the parish house’s exclusion from the historical district is that the building – which used to house a day school – was built in the mid-1960s. While there’s no shortage of critics of the proposal – former Vermont governor Howard Dean, who grew up next to the church, had a representative at the commission hearing and called the cantilever plan “horrendous” – the decision on whether it goes forward ultimately lies with the city. The LPC will research Historic Park Avenue’s proposal and issue a designation report, after which the commission will vote on it. From there, the proposal – if it passes – will go to the City Planning Commission for review and another public hearing before being sent to a vote from the City Council. This entry was posted in News and tagged Extell, Landmarks Preservation Commission, Park Avenue Christian Church, Upper East Side. Bookmark the permalink.